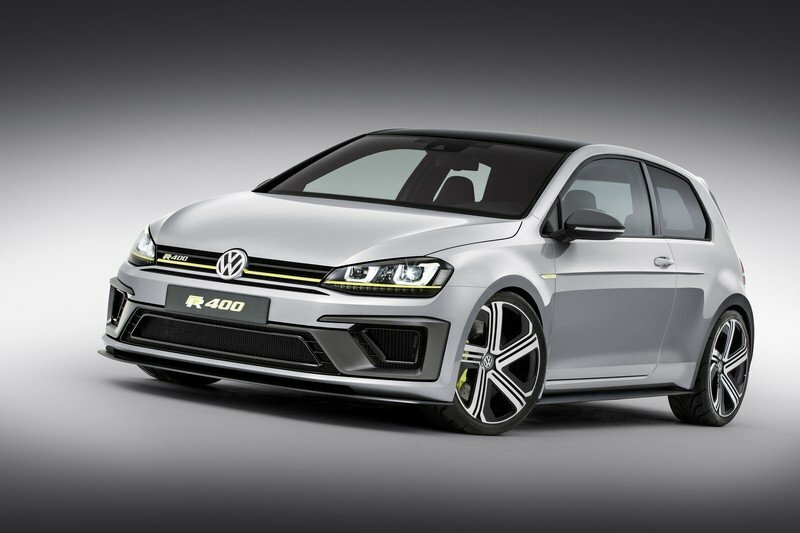 Volkswagen Golf R 400 May Be Offered To The U.S. 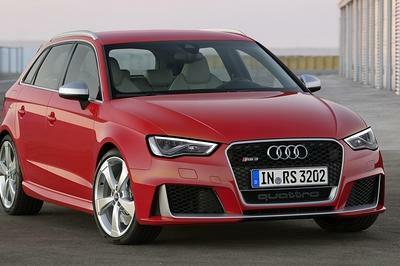 The Golf R 400 debuted in November of 2014 as a nearly production-ready concept, and was met with nods of approval from just about everyone who clapped eyes on it. 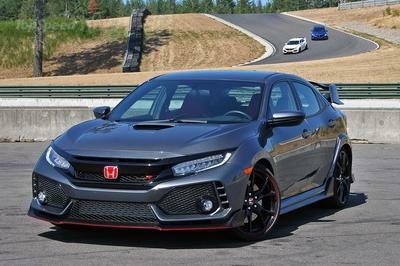 A supercar in the shape of a hatchback, its apparently PCP-injected 2.0-liter EA888 four-cylinder puts down a staggering 395 horsepower and 332 pound-feet of torque. Power goes to all four wheels through its Haldex 4Motion all-wheel-drive system and dual-clutch transmission. 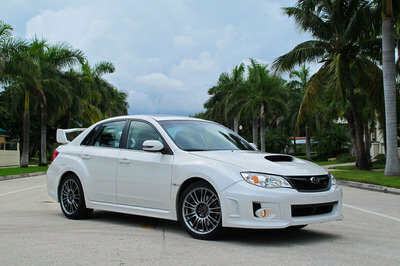 It also looks completely sick, and will do 0-60 in a claimed 3.9 seconds. Continue reading to learn more about the Volkswagen Golf R 400. 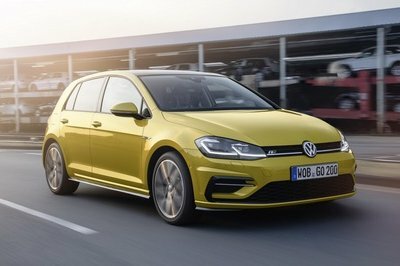 Considering the 2015 Golf R sold out 11 hours after it went on sale in the U.S. (with more on the way), this was a no-brainer for Volkswagen, and early indications are the R 400 will indeed get the go-ahead for a limited production run. British magazine CAR reported shortly after the concept’s debut that a production version would be unveiled at the 2015 Frankfurt Motor Show, with deliveries starting soon after. 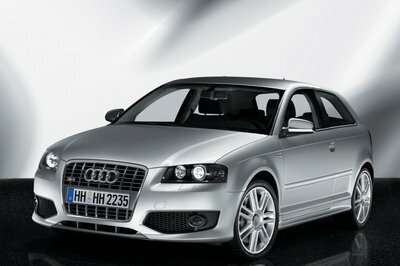 But with a price tag north of $60,000, it won’t be cheap. Neusser also discussed with Motor Trend the future of the Beetle, and put to rest any rumors of its demise, pointing at the four “lifestyle” Beetle concepts unveiled in New York. Two of them, the Beetle R-Line and Beetle Convertible Denim, will enter production, while mercifully, the Beetle Pink Color Edition and Beetle Convertible Wave won’t have a future outside of Javitz Center. He also resurrected the idea of revitalized Volkswagen Bus. It’s currently stuck in the conceptual phase, but could be built using VW’s MQB architecture and have an all-electric powertrain. Since putting a flat-four in the back isn’t really an option anymore, using a compact electric motor is thought to be the only way to preserve the Micro Bus’ cab-over shape. As for Volkswagens that still won’t be coming to the U.S., don’t hold your breath for the Scirocco coupe or Amarok pickup. Neusser says (and he gave me this same answer about the Amarok last year) there are still no plans to bring either to our shores.